The World Series of Poker is - quite simply - the biggest poker festival on the planet and runs this year from May 30 to July 17 at the Rio All-Suite Hotel & Casino. The 2017 WSOP is the 48th edition and features a total of 74 events. As always, MainEventTravel will help you make the most of your stay with the best accommodation and deals in Vegas. 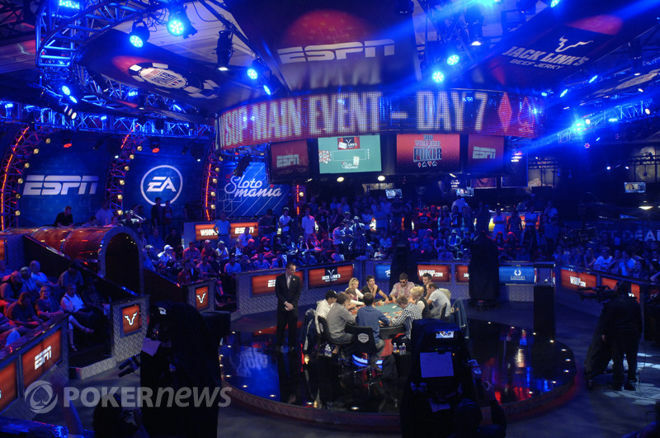 The WSOP Main Event is the globe’s longest-running poker tournament and kicks off with three start flights (July 8, 9 and 10). It then continues over ten consecutive days through to July 17 when we reach the “November Nine”. 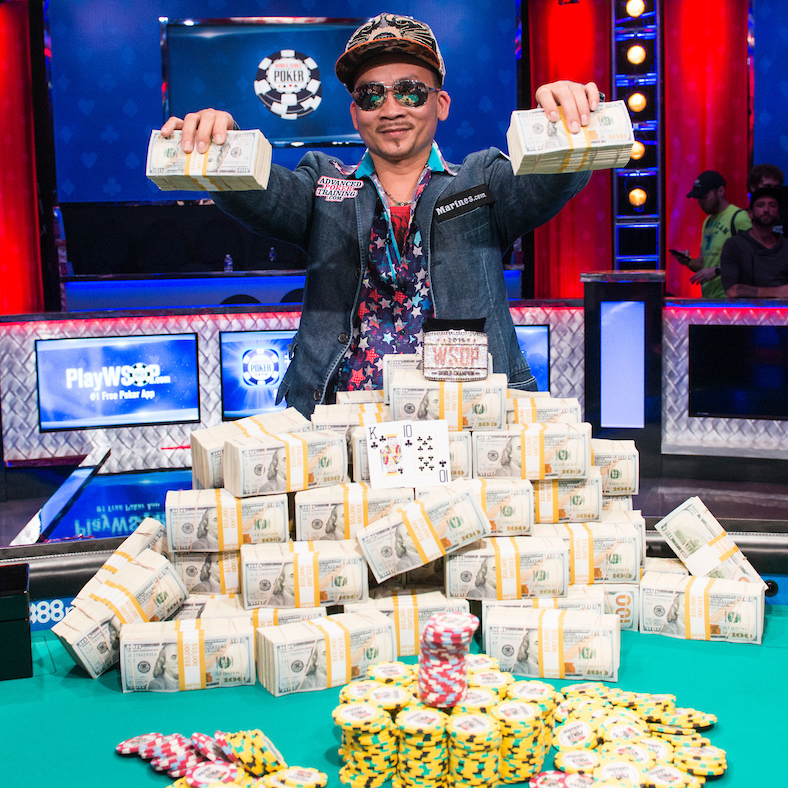 Last year Qui Nguyen took it down for $8,005,310. The event attracted 6,737 entrants with the top 1,011 getting a share of the $63,340,268 prize pool. The opening weekend event of this year’s WSOP sees the return of the world’s largest live poker event with Colossus III. This massive event does what it says on the tin! It’s colossal, and has attracted close to 44,000 entries combined for its first two iterations. It’s easily the largest live tournament in the world and allows all-comers to buy in for just $565 and try and turn that into $1 million in a matter of days. There are six start flights in all – on June 2, 3 and 4. This year’s WSOP features several new events including a $10k Tag Team NLH Championship, THE GIANT – a $365 NLH tourney, and a $1k NLH Super Turbo BOUNTY. The first of these, the $10k Tag Team No-Limit Hold'em Championship (Event #2), kicks off the opening weekend alongside the $565 Casino Employees tournament. Each team buys in for $10,000, with two to four people on each team. THE GIANT (Event #19) is a $365 buy-in NLH tourney starting June 9. It has unlimited reentries, with payouts every flight, weekly Day 1 flights and a Day 2 restart on July 8. The $1k NLH Super Turbo BOUNTY (Event #39) starts June 20 and has 20-minute levels, and bounties on each player worth $300. Some favourites back on the schedule for 2017 include the Millionaire Maker (June 10 - June 11) and the Little One for One Drop No-Limit Hold'em (July 11 - July 13), Monster Stack (June 24 - June 25), Seniors No-Limit Hold'em Championship and Super Seniors No-Limit Hold'em (June 16, June 18) and the Ladies No-Limit Hold'em Championship (July 7). Last summer, the average prize pool in bracelet events was more than $3.2 million with a first prize of over $500k. The 107,833 entries at the 2016 WSOP were the most in the event’s 47-year history with 15,767 entrants making the money.